Stacy is the first full-time development director for the Indianapolis campus. He earned a B.S. in Public Affairs from IU Bloomington in 1994 and received a certificate in nonprofit executive leadership from the IU School of Philanthropy/SPEA in 2011. He found his niche as a fundraiser working for the IU Foundation Telefund for three years as a student caller and manager. Stacy now has over 18 years of higher education campaign and community fund-raising experience. 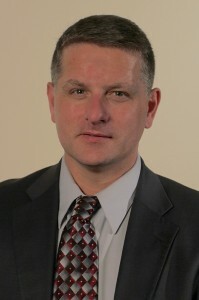 Following eight years of progressively responsible positions at North Carolina State University, Zearing left Raleigh and his role as Executive Director of Development in its College of Humanities & Social Sciences to move back to his home state as Director of Development & External Affairs at Indiana University-Purdue University Columbus (IUPUC) in 2009. Zearing helped revive an IUPUC development program that had only raised $148,000 the previous year to over $2 million during his nearly three years there. He recently led the school’s needs assessment for the IUPUI campus and is looking forward to advancing its programs through the Bicentennial Campaign.